March 18, 2018, Saturday, the 2018 Sto. 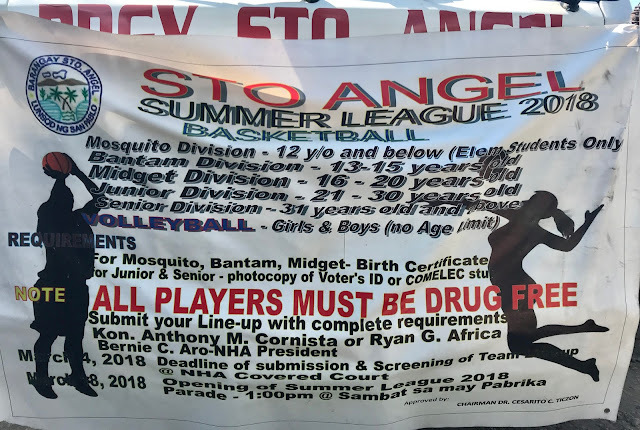 Angel Summer League has started and we were so glad to be able to be part of the event. 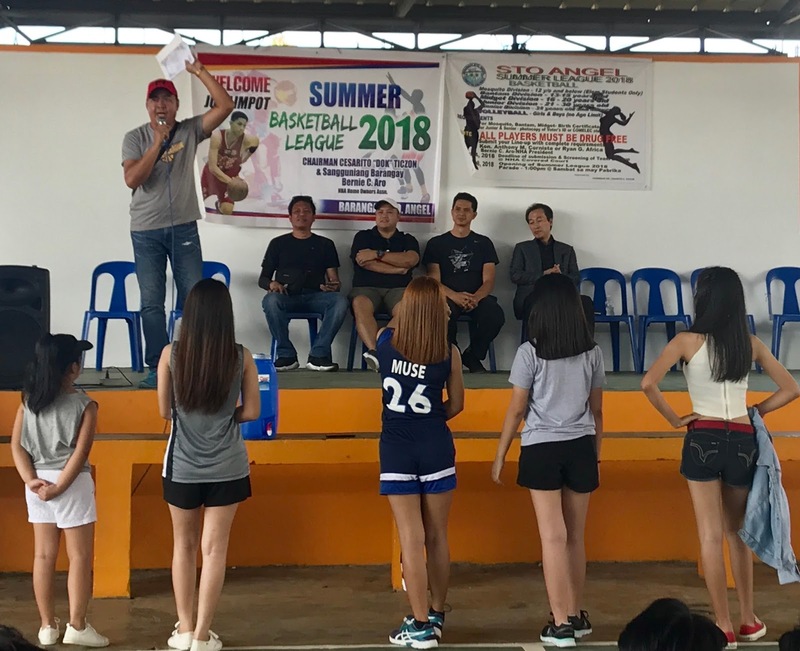 Summer League which is most commonly known as "Liga" is being held in all local barangay. This is in order to impart sports activities among the youth during vacation. Looking back, when I was a child, I remember going and watching volleyballs and basketball leagues with my sisters and friends. Missed watching such when I was already working in Manila. But whenever there are tournaments when I am go home over the weekend, sometimes I spare some time watching the game with my family. This is the first time that I get to join this initiative by sponsoring one of the junior team. Although, I am not really a sporty person, I support people who loves the sport. 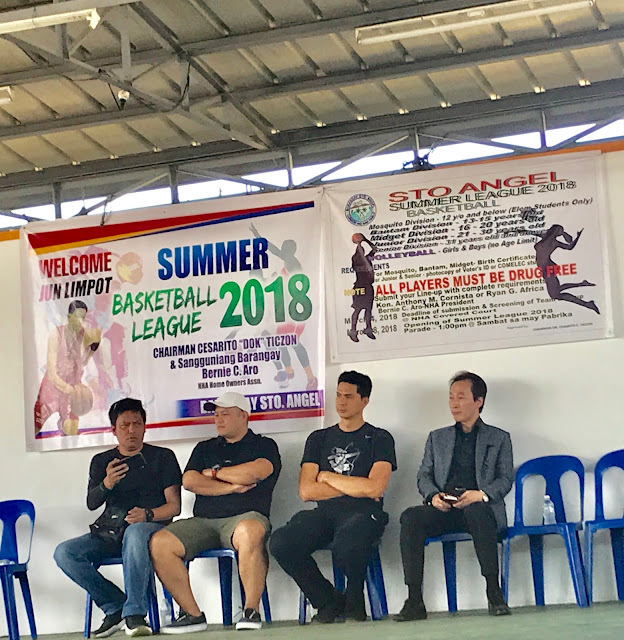 Mr. Jun Limpot, a very known basketball player shares how he started as a young kid just like the other kids. He played from Barangay then to UAAP and finally to PBA. Basketball player, Jun Limot speaking in front of the players. He shared the difference between just playing and having a dream which is a very inspirational. I hope this will also be a motivation to these players. To play, learn and have a dream. With Mr. Jun Limpot, guest of honor. Game schedules will be announced. 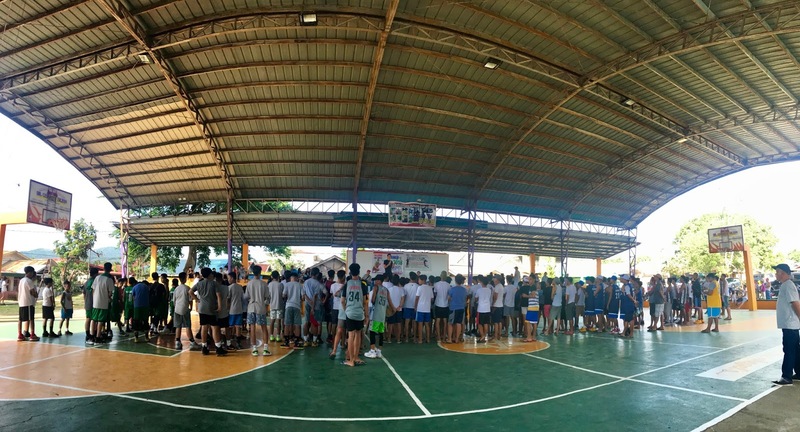 For now, games are being conducted only during Saturdays and Sundays while students are still going to school. Changes of schedules probably will take place once student's vacation starts.